Bulk organic foods and other healthy eats may be one time when more can be better. Stocking up on natural and organic bulk foods can save money and help us eat better more often. As a real value hound, I can search endlessly and even end up in some unlikely places to find a good deal while still trying to shop conscientiously and determine what we're buying, from whom and why. We're always on the look out for bulk foods that make eating healthier both affordable and part of a solution that supports better habits and businesses, so stay tuned for new additions and share your own favorites too. Coupons? Coupons? Who wants coupons? Get organic food coupons for your groceries. Sustainable Live*Work*Play is about providing options that shine a light on healthier more meaningful choices so you can pick and choose what works best for you. Good value seeks a mindful balance between finding choices each of us can afford and that contribute positively to the kind of community, economy and well-being we want to help create. We've rounded up some sources for bulk organic foods and healthier eating choices below, and we'd love to hear about your favorite bulk finds too. Vital Choice is our pick for delectable sustainable, wild fish and seafood - see why here. And thanks to their special offers we can load up on super healthy staples more affordably. Check out their in season, bulk specials on items such as 4 lb. Bulk Pack of Tuna Loin Tips, Whole 30 oz Sockeye Fillets, or Jumbo Whole Sockeye bulk offers change according to availability so check often. Free shipping on orders over $99. Mavenjoy Favorite: Should you see a bulk value offering for our favorite, their stellar Alaskan sablefish, grab it quick! 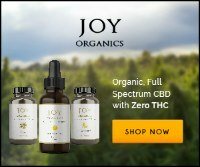 Mavenjoy Extra: Enjoy 10% off your first purchase with Vital Choice by clicking here and using the code: VCAF10 during checkout. One of newest additions to our favorites for online food shopping, Direct Eats also has fantastic bulk buys for many of our brand favorites + over 20,000 products to choose from. And here's the kicker...always FREE SHIPPING and no minimum purchase. They'll also introduce you to wonderful small makers of artisan foods like this Georgia favorite. Mavenjoy Extra: For a limited time, our readers may use code MAVEN15 for 15% off orders of $35 or more. Another one of our favorite food brands, Organic Prairie has bulk offerings of certified organic meats (all gluten free) that are vacuum-packed and flash frozen straight from the farm. Organic Prairie has got you covered from burgers and brats to steaks and specialty sausages, and your organic holiday hams and turkeys too! Ordering with neighbors and friends is a great way to share in bulk organic foods and expenses. And be sure and check out their Deals of the Week and Overstock Specials. Flat rate shipping is $11.95 with free shipping on orders over $200. Mountain Rose Herbs sells the purest, freshest quality bulk herbs, spices, teas and oils that you see, taste and smell. Its unwavering commitment (since 1987) to organic standards from start to finish yields products that are guaranteed fresh, fragrant and colorful. Replenishing your cabinet with Mountain Rose's spices, seasonings and salts is nothing short of revolutionary. And seeking out new and different butters and oils will have you whipping up your own DIY personal care and home products that leave the commercial products in the dust. Hard to fathom how ingredients so small and simple make such a HUGE difference to your food, health and home when cultivated with such care and purity...that is, until you try yourself. Mavenjoy Tip: Mix and match whole pounds to save even more without having to purchase multiple pounds of the same herb, spice, or tea! Mavenjoy Favorite: The absolute best tasting, most amazing chai tea is MR's Firefly Chai Tea - must try! Stocking up on seasonal foods from our gardens, farmers markets and CSA's can stretch both our fresh food supply and our dollar. Take advantage of all that fresh spinach, kale, chard and other greens -- they freeze beautifully (so much better than frozen packaged greens) and make super additions to smoothies and other healthy recipes. And start canning your summer surplus of tomatoes, beans, cucumbers and most any other vegetable for tasty pasta recipes and for soup, salad and sandwich additions to have throughout the year. You may also be surprised to find local shops and farms that offer bulk values in your own hometown. 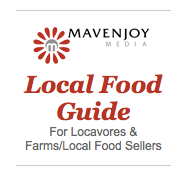 Check out our Local Buying Guide for Natural & Organic Foods to find everything from local organic meats and produce to grains and honey. No, warehouse clubs are never going to be the ideal way to shop sustainably, but Costco has pleasantly surprised us. They now offer a hefty array of worthy organic products, a growing practice of stocking locally/regionally-sourced foods from small producers and most recently, their commitment to a more sustainable seafood policy. So we approach Costco by trying to let organic and whole food items from local and/or independent companies dictate what we choose. This works to limit the shopping-gone-wild fever that can take over with warehouse shopping plus eek out some pretty darn good values while still eating well and supporting some admirable brands and businesses. Good Costco deals to look for include: Organic Soups & Broths*, Organic Nut Butters, Organic Carrots, Organic Spinach, Organic Tortilla Chips, Raw Unsalted Nuts, Organic Snack Bars*, Frozen Organic Berries, Garlic*, Extra Virgin Olive Oil, Pure Sea Salt, La Croix, Organic Meats, Organic Coffee*, White Vinegar (for cleaning), and Organic Brown Rice. Look for brands like Lundberg, Nature's Path, and Amy's (see why here) and new products from small local and regional producers too. Costco actually introduced us to two fantastic foods from two very special small businesses: Ruta Maya Coffee and Belle Chevre Cheese (see sidebar). We've raved about Frontier Natural Products as one of our favorite food brands, so we're happy to find they offer a selection of bulk organic foods direct from the co-op. You'll find good deals with exceptional quality on their bulk organic herbs and seasonings plus baking mixes and cooking ingredients including bulk organic soup mixes, beans/lentils, grains, seeds and much more. And their loose-leaf organic teas in 1 lb. packages are a super find! Free Shipping on orders over $75. And do consider becoming an Associate Member for just $10/year and get 10% savings on everything you buy, an annual 5% rebate, plus exclusive access to associate member-only promotions and more. Share Your Favorite Organic Bulk Food Find? What's the best all natural or organic bulk food that helps you eat healthier? Share your go-to item, source or practice for stocking up on healthy eats in bulk. Feel free to include your tips and ideas for buying, storing or preparing your favorite finds too.